Most of us want to preserve the life of our home theater investments. Some, who want to upgrade, may not. For those, do the exact opposite of what we talk about. For the rest of us who want to protect our hard-earned investment, to make sure our televisions to last as long as possible, there are a few simple things to remember to make sure you get the most hours you can from it. Most of these apply to any piece of electronics you have in your theater: receivers, DVRs, Blu-ray players, projectors, you name it. Nothing kills a TV prematurely like heat. The TV, especially if you have a plasma, will heat up quite easily on its own. All this heat, if it can’t dissipate, can destroy the internal components of your television. If you don’t allow for adequate air flow or ventilation around the television, you may be killing your set off before its prime. Your television manufacturer will typically list ventilation requirements in your manual. If you live in a very hot climate, you should be concerned about the life of your TV. Not that it needs its own cooling system or dedicated air conditioning unit, but if it is difficult to get heat to leave the room, it will be that much more difficult to get heat to leave the TV. Proper ventilation is key, but you may also want to consider installing some small fans, either in your TV cabinet or near the television, to make sure the air is always moving. Some after-market thermal controlled fans can be used to turn on only when a specific heat threshold is met. It isn’t just heat, humidity can also cause severe damage to a television set. Liquid is the enemy of electrical components and humidity is no different. Do your best to keep the area clean and dry. If you don’t keep it clean, the moisture in the air could mix with the dust in the TV set and form some very damaging gunk on your sensitive circuit boards. More on keeping them clean later. But make sure you keep them dry. While very cold temperatures can impact the performance of the TV, very rarely will they have a negative impact on the life of the TV, unless the extreme cold is also coupled with moisture of some kind. However, rapid swings in temperature, where the set goes from very cold to very hot and then back again, in a short amount of time, can wreak havoc as well. The electronics are tested for extreme temperatures, but assuming you’ll be in Arizona if its hot or Alaska if it’s cold. Try to keep the environment consistent. Dust and dirt are another plague on the extended life of an HDTV. As we mentioned before, dust, especially when mixed with moisture from humidity or anything else, can cause severe damage to the TV. The dust-moisture mixture can cause electrical circuits to connect to the wrong chips, shorting them or overloading them. It’s like the classic problem of “bugs” in mainframe days. Anything on the circuit board that isn’t supposed to be there can cause problems. Proper ventilation is very helpful to reduce dust formation, but even with good airflow, dust still builds up on and around your television set. Routine cleaning is critical. Don’t allow the dust to build up long enough that it can cause an issue. Use a soft rag to remove the dust from the exterior of the television cabinet. If there are vents in the cabinet, blowing them out with a can of compressed air can be quite helpful. You’ll want to be careful with this, though. You don’t want to blow all the dust deeper into the TV and cause your own build-up mess deep inside the bowels of the television. Your television likes to do what you ask of it. It likes to perform for you. But it doesn’t like to do tricks. The less you make your TV work, the longer it will last. For example, the climate issue of quick changes in temperature is not good for the TV. Keep the air temperature consistent as much as possible. Also, constantly turning the TV on and off can cause problems. It shouldn’t. And all manufacturers test this (or at least should be testing it), but the power up/self test/initialize sequence can be intensive. Performing that rapidly and repeatedly could be problematic. 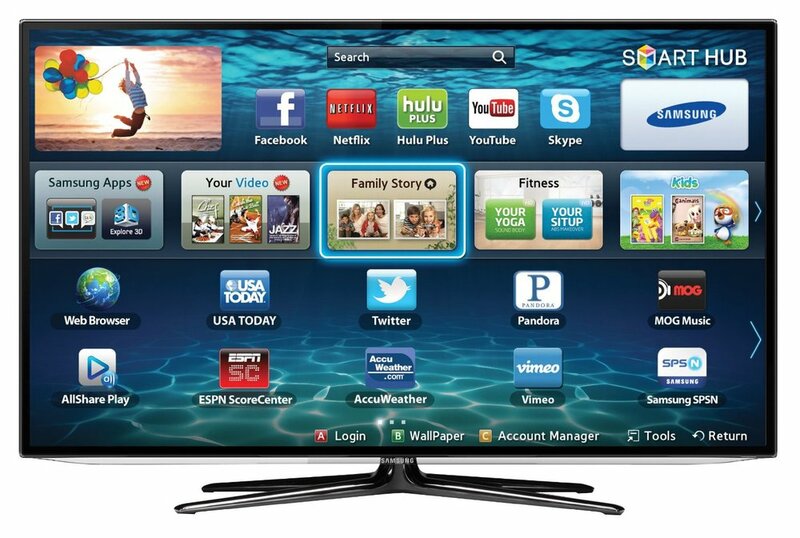 You should also look to keep the power going into the TV as smooth and consistent as possible. This more than likely means the use of a power center with power conditioning. Something that will sit between your TV and the wall outlet to make sure that a sudden jolt in power, or a momentary dip in power, won’t make it through to the TV. If you’re using a UPS to maintain power to the TV even if you lose power in your home, make sure the UPS provides smooth (sine wave) power, not choppy (stepped wave) power. In the end some simple rules to follow and a couple quick maintenance steps can make sure you get the maximum life out of any HDTV, or any home theater component for that matter. Whether you want to preserve your TV or projector, receiver or amplifier, the rules are pretty much the same. If you’re in the market for an upgrade and need an excuse, ignore everything we said. In fact, do the exact opposite. Your TV will come to a screeching halt in no time. It is important to remember that despite your best efforts, home electronics aren’t perfect. You may put all the love and attention into your television that you humanly can, and it can still fail. There may be a component failure that is completely outside your control. Chips fail, boards die, pixels stick. It just happens. Doing the simple things we talked about won’t guarantee your TV will last for a long time, but it will improve your odds significantly. Announced late last year, the Marantz PM8005 integrated amplifier and SA8005 SACD player/DAC are the top models in the company's mainstream line of two-channel hi-fi components. (However, Marantz has more expensive models in its premium Reference Series.) They're updates of the well-reviewed 8004 series, which launched in 2012. As the visuals here indicate, these are matched components, with signature Marantz cosmetics, including front panels with rounded edges and a three-dimensional etched company logo in the centre. The overall look is updated 1970s retro. Each component retails in Canada for $1,399. A system remote control is provided with both components. And both have fully discrete headphone amplifier circuits behind their front-panel headphone output jacks. Construction is robust, with multi-layer bottom plates (triple-layer on the amp, double-layer on the disc player). Whereas many AV components these days have plastic front panels, the SA8005 and PM8005 have metal faceplates, though these appear to be stamped as opposed to cast. The controls are solid and responsive, though without the assured silky-smooth feel of higher-end products. While the overall feel falls a little short of luxury, both components exude quality. Rather than op-amp ICs, both components employ Marantz's HDAM (Hyper Dynamic Amplifier Module) technology: sub-boards populated with discrete components. This improves dynamics and detail, the company claims. Rated at 2x70 watts into 8Ω and 2x100 watts into 4Ω, the PM8005 amplifier has a beefy power supply, employing a redesigned double-shielded toroidal power transformer rated at 625VA; and an output stage with high-speed high-current output devices. The point is to enable the amplifier to deliver large amounts of power quickly, to produce demanding short-term peaks. The PM8005 has a full range of input jacks, including one for MM (moving magnet) phono, and two sets of audiophile-grade gold-plated speaker terminals. In addition to familiar bass and treble controls, the amplifier also has a midrange control. It also has a Source Direct function that bypasses all these controls. Selecting the Source Direct option resulted in greater clarity and solidity; and that is how I conducted all my listening tests. The SA8005 has a centre-mounted disc tray, with an LED readout below, and transport and input controls on either side. There's also a USB input, for playing files from a USB drive or from an i-device. The SA8005 is somewhat unusual among disc players in being able to play Super Audio CDs, though of course only in two-channel. While SACD had very limited success, the has have a faithful following of audiophiles, myself included. I disposed of my CD library after ripping it to a Mac Mini, but I've kept my SACD collection, and appreciate having a player for these discs. The component also functions as a DAC. On the back are a pair of line-level analog stereo output jacks, coaxial and optical inputs and outputs, and a USB 2.0 input for connecting a PC or Mac. The USB DAC operates in asynchronous mode to all but elminate jitter, and has isolation circuitry to prevent transfer of noise from the computer via the ground plane. All digital inputs will accept PCM audio at resolution as high as 192kHz/24 bits. In addition, the rear-panel USB input can accept single-rate (2.8MHz) and dual-rate (51.6MHz) DSD (Direct Stream Digital) streams. DSD is the codec used on the high-resolution layer of SACD. A growing number of online music stores are offering DSD downloads. Over a three-week period, I spent many hours listening to the SA8005 and PM8005, through KEF LS50 speakers, plus a Sunfire Atmos XT subwoofer connected to the PM8005's preamp output to fill in the bottom octaves. I used the SA-8005's optical drive to play SACDs, and its DAC to play lossless and high-resolution files from my Mac Mini, using Audirvana Plus player software. The amplifier's beefy power supply and high-current output stage seemed to pay real dividends on a 96/24 download of Paul Lewis playing Schubert piano sonatas (Harmonia Mundi via eclassical.com). It reproduced the big crescendos majestically and effortlessly. And these two components could also be delicate and subtle when needed. Steven Stubbs' lute playing on a 44.1/24 download of Night Sessions by The Dowland Project (ECM via HDTracks) sounded gorgeous, with wonderful depth on the lower strings that expanded to fill my room and superb expression on the upper strings. Similarly, Morten Lund's brush work on the snare on "Edith" from Stone in the Water by the Stefano Bollani Trio (ECM 3080, CD rip) sounded just right. The SA8005's DSD-capable USB gave me my first opportunity to experience DSD downloads through my home system. "Altar Boy" from Rickie Lee Jones' Traffic From Paradise (Geffen Records via Super HiRez) was captivating. There was a smoothness, and rightness to the sound that made it easy to understand what all the audiophile buzz around DSD is about. The two Marantz components conveyed Jones' slightly nasal, mumbly voice, and the lovely guitar and mandolin playing, with convincing detail, but without any unnatural glare or sharpness. On another DSD download, Delibes' Coppelia Suite (Reference Recordings via Super HiRez), the San Francisco Ballet Orchestra was produced on a big soundstage that extended well past my speakers. Instrumental timbres were very convincing, again without glare. Turning to another 19th century orchestral score, this time on SACD, the Marantz combination acquitted itself very well with Dvorak's Seventh Symphony, played by the Budapest Festival Orchestra conducted by Ivan Fischer (Channel Classics CCS SA 30010). On this native DSD recording, the components conveyed the big dynamic swings of the opening movement with effortless ease. From time to time, I couldn't resist the temptation to swap out the Manantz components, and compare them with my day-to-day setup: an Arcam A38 integrated amplifier, CD37 SACD player and (a new addition) irDAC. On the Arcam A38 and CD37, Angela Hewitt playing keyboard suites by Rameau (Hyperion 67597) sounded a little more incisive, but also clangier; the Marantz PM8005 and SA8005 sounded warmer and more rounded, but also more remote. The Arcam combination struck me as being slightly more incisive-sounding than the Marantz, with more precise imaging. Comparing the SA8005 and CD37 playing SACDs through the Arcam A38 amplifier, the Marantz player had more body and less glare on recordings such as Bolivian Baroque Vol. 2,a record of 17th century South American church music performed by Floregium (Channel Classics CCS SA 24806). On a performance of Vivaldi's Gloria by Boston Baroque conducted by Martin Pearlman (Telarc SACD-60651), the Arcam player portrayed subtle dynamic changes more convincingly; but strings were a bit more strident. While the spatial presentation of the orchestral and choral forces wasn't as large the Marantz player, it seemed more natural. Overall, I preferred the Marantz SA8005 for SACD playback by a slight margin on most recordings, which is interesting, because the SA8005 is considerably less expensive ($1,399 versus $2,499) and it has DAC functionality that the CD37 lacks. However, the Arcam player is a five-year-old design, and digital audio technology is advancing very rapidly these days. My preference was reversed for the amplifiers. On "Dr. Ra and Mr. Va" from The Words and the Days by the Enrico Rava Quintet (ECM, CD rip) played through the irDAC, Rava's trumpet had more bite through the Arcam amp. The presentation of the Marantz amp was fuller and rounder, but less energetic and engaging. Comparing the SA8005's DAC with the Arcam irDAC, I thought the irDAC came out on top. On a CD rip of "The Ground" by the Tord Gustavsen Trio (ECM), instrumental attacks were sharper on the irDAC. The sound through the SA8005's DAC was a little fuller, but less precise. On "Dr. Ra and Mr. Va" by the Enrico Rava Quintet, transients like cymbals and trumpet were faster on the irDAC, without any harshness. The comparisons between the brand-new Marantz components and the Arcam components are illuminating. The differences in sonic performance and feature content between the SA8005 and CD37 show how quickly digital technology is advancing. So, incidentally, do the differences between Arcam's new irDAC and its older rDAC, which I'll describe in greater detail in a forthcoming review. But the most revealing and most pleasurable aspects of this review come from the many hours I spent just listening to the PM8005 and SA8005, as opposed to swapping components and obsessing about fine differences. As should be clear by now, I really liked what I heard. Together, the PM8005 and SA8005 provide a thoroughly up-to-date route to serious two-channel sound that won't break the bank; and as such are enthusiastically recommended. For music-lovers with SACD libraries who are looking for a straightforward way to get into computer audio, my recommendation is even stronger. Savant is the latest company to release an update to its app that will be specifically tailored to the upcoming Apple Watch. The revamped home automation app will allow homeowners with a Savant home automation system to access and activate "scenes" they've created directly from the Watch, similarly to the widgets for the iPhone and iPad. This might include powering down all lights and entertainment systems in the Bedtime scene, or activating the whole-home music and mood lighting for the Party scene. Savant customers can also view quick snapshots of relevant information on the Watch's screen through the new app, such as the temperature, lighting, security, or AV usage. Brad Middleton, Brand Manager for Savant at Evolution Home Entertainment Corp., Savant's Canadian distributor, says that a future release will also incorporate notifications that the homeowner can create directly from the Savant app. And, he adds, there are many more additional coming for the Watch that can't yet be revealed. "As the premium luxury provider of control and integration in the world today," says Middleton, "it was important for us to be able to provide the solution out of the gate. This allows our Savant dealers to position themselves as leaders with their clients, builders, designers, and architects... The Apple Watch demographic is the Savant demographic. These customers are our customers." The Apple Watch, Apple's first stab at a smartwatch, will launch this Friday, April 24. It can only be purchased online, and is currently available for pre-order. Customers can also set up an appointment to touch and feel one at an Apple Store, and get a demo, prior to deciding to fork over the dough for one of the devices. Several sources estimate that Apple has already sold more than 2.3 million Watches in its pre-order phase. According to Slice Intelligence, upwards of a million of those were sold on just the first day that pre-orders became available. Slice reports that the average purchase price per person was $503.83, which means most people opted for the cheapest band. Seventy-one per cent selected the largest 42 mm casing. Pricing ranges from $449 all the way up to $15,500 for the Edition version with a 18-Carat rose gold case. Many expect that while the official launch date is April 24, many pre-orders won't ship out until after that date. Restaurateurs have long recognized that music, climate and lighting plays an important part in providing ambiance that can elevate their guests' experience. Dimming the lights to just the right level, adjusting the temperature for comfort and playing music that is lively yet not overpowering is hard to achieve at exactly the right time. Couple this with a continuing thirst for larger screens and better picture quality along with the complexities of training staff to navigate through 900+ channels to find the "Big Game" and you have a very stressful situation to manage. This is a major distraction for restaurateurs and their teams and takes away from their ability to look after their patrons. The solution? Design and integrate a commercial automation system that controls climate, lighting, security, audio and visual all within a very simple to use, intuitive, control interface. What should be simple tasks like changing the channel once again become exactly that, simple. Sound Designs is well known for being one of the premiere home theatre and automation integrators for some of the most prestigious homes in Canada. The same immaculate workmanship and expert designs can also be found in top restaurants across Toronto and Canada. Oliver & Bonacini Restaurants, Boston Pizza, Pickle Barrel, Mill St. Brew Pub, Against The Grain Tavern, Brazenhad Irish Pub, OhOriginalHotDogs, Crabby Joe's Tap & Grill, Blast Event Space, Bar Vespa and many other leading restaurant and hospitality companies have trusted Sound Designs to create an automation design that is aesthetically pleasing, reliable and user-friendly. The team at Sound Designs works with clients from the planning stages of a new build or renovation to ensure seamless integration with the design of the space. The end result a great A/V experience that both patrons, staff and management will all be pleased with.